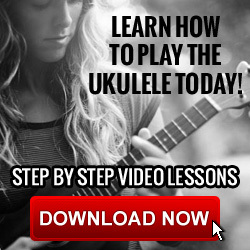 DIY Ukulele Luthier | Tips, Tricks & Tools – build, repair, setup & maintenance. An accomplished Ukulele and Guitar builder, Beau’s inlay and purfling work is some of the finest I have seen. His attention to detail and generosity in sharing knowledge, make him a worthy addition to any social media follow list. With mitres and ‘bee-stings’ that would make any violin builder jealous, give him true contender status for the crowns currently held by other inlay specialists and builders of this genre. Tell me about your journey… Were you a player first? What inspired you to take the plunge and build? I have been playing since I was about 10 years old. Over time my playing developed into finger-style which lead me to discover great players and hand built instruments. I found Cumpiano’s book on guitar making (the best book of luthiery at the time) at a second-hand book sale, this was the beginning of it all. I read it cover to cover and in 2003, then I went to study instrument making at Gilet Guitars in Sydney Australia (where I’m from). I was there for some time as a student, then I was offered a job where I stayed on making Gilet guitars and teaching students until about 2011, when I got married and moved to Colorado. In the beginning what was the building process like? Were there any unforeseen events? My early days were actually much easier than my current position. At Gilet guitars I entered a very large workshop, where all the jigs were made long ago, the processes were established, and they had a lot of expensive machinery to help with all of that. Such is the benefit of learning at a luthiery school, they are expensive but worth it, as you are paying relatively little money for something that usually can’t be bought – i.e. time and knowledge. If you distilled the time it took for 4 luthiers to learn what they teach at a school – you’re probably buying at least 40-100 years of knowledge, for very little. What choices were you faced with during the build process? The choices were what any luthier or artist or maker of handmade things has to face – A life time of doing what you love for very little return. Being a luthier is a strange and unique thing, in what other job can you be one of the best in the world at what you do, but be living on minimum wage? This is the choice that you must face as a luthier. Tool choices, 3 things – a Block Plane, a chisel and a scraper. I think an instrument could be made with these 3 things… perhaps some glue too now I think of it! What advice did you seek and where did you get it? I ask (AND GIVE) any and all questions to any luthier, not to steal ideas but to learn and broaden my understanding. To know the top thickness of another luthiers soundboard isn’t a sure way to make a good instrument, but it is always interesting to hear what people are up to. To NOT know something is not a dishonour of knowledge. Not to ask what you don’t know because your to proud (etc) is the worst thing I feel. I never feel bad for not knowing something and always ask, no matter how stupid the question – and I pass on this ideal to whoever asks. So the short answer to the question “What advice did you seek and where did you get it? ” is I seek any advice from everyone! What about the results of your first attempts at building? Were you delighted or devastated? My first 3 instruments were a 000, resonator and 00. All were excellent and not because I was excellent but because the school I went to was excellent. I took notes, took photos etc and asked questions. What motivated you to continue and become a professional luthier? Where are you now with your luthiery and what do you see for the future? Since moving to Colorado I had to set up 2 workshops (due to winter) and re-made all the jigs, bought the machinery and tools needed, its very expensive to start with nothing and buy it all at once! So now I’m up and running, it’s going good, I’m developing faster ways to do some tricky things, so hopefully my wait list will get shorter as I get faster. The future is, basically, 40 more years of doing exactly the same thing but just looking for ways to do it better, or doing it the same way but at a higher standard, be it faster, cleaner, nicer aesthetics etc. I’m not a corporation with shareholders that need to see a 20% growth every year… forever. I simply do the best I am able, as much as I am able. How about an insight into your luthier’s philosophy? Do you have a message to the amateur luthier community? I’d advise all to make beautiful things – the world is full of cheap ugly things. If you can’t make, or strive to make an instrument that is more beautiful than the tree that the wood comes from, then I don’t think you should be making instruments. Please share this post, spread the word and follow UK Ukee on WordPress, Twitter, Google+ & Facebook for more tips, tricks and tools for DIY Ukulele Luthiery, repair, setup & maintenance! This entry was posted in Ukulele Interview and tagged Beau Hannam, Beau Hannam Guitars & Ukuleles, Colorado, Grand Junction, Inlay Work, Make your own ukulele, Professional Luthier, Professional Luthier Interview, tools, ukulele, Ukulele Building, Ukulele Inlay, Ukulele luthiery, USA. Enter your email address to follow UK Ukee ukulele luthiery blog and receive notifications and special offers by email.